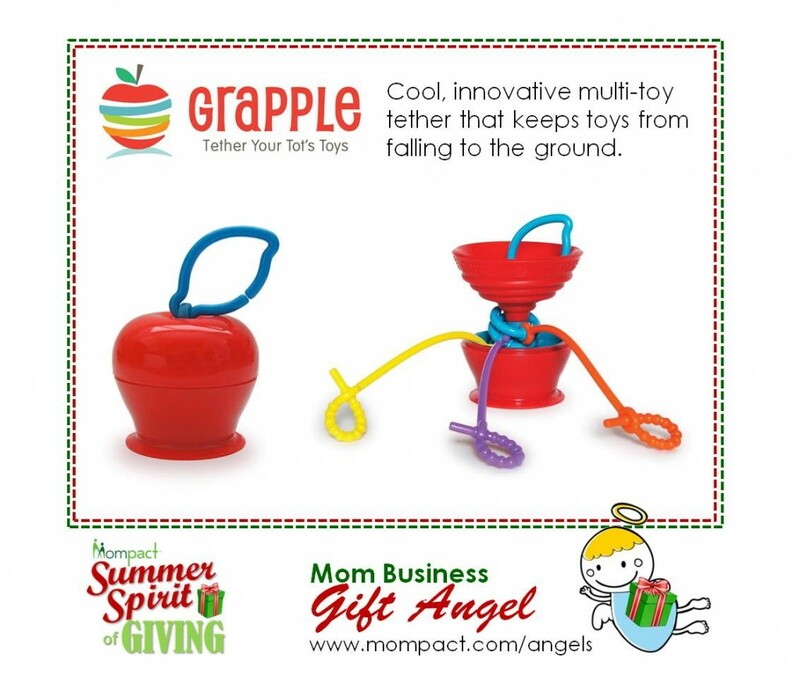 Cool, innovative multi-toy tether that keeps toys from falling to the ground. Are you tired of chasing toys that have been dropped (or thrown) to the ground? Grapple is the solution! It is a multi-toy tether that suctions to any smooth flat surface and keeps three of your baby’s favorite toys always within reach and off the floor. It’s great at restaurants! The exterior of the Grapple and the tethers are made with food grade silicone which is super soft and has a great feel. The blue leaf at the top is a clip which can be attached to a diaper bag. It retails for $19.99 and can be found online (www.boingyco.com & Amazon) and in boutiques across the country.